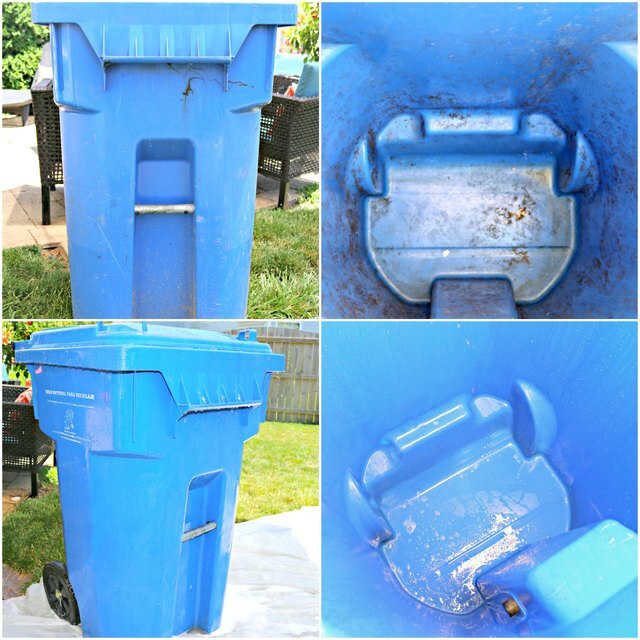 Outdoor garbage cans hold garbage bags that may leak and usually attract flies and other intruders. They can get really dirty and stinky too. 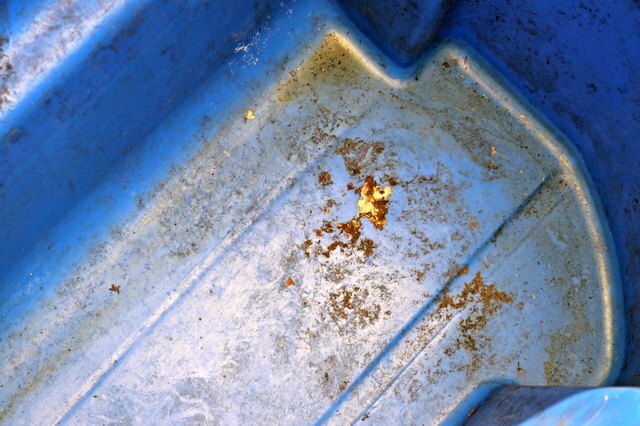 During the summer months, outdoor garbage cans can get especially nasty because they usually hold food and other items that can spoil in the heat. Spoiled food can attract flies, which lay eggs and lead to maggot infestations as well. Yuck, right? 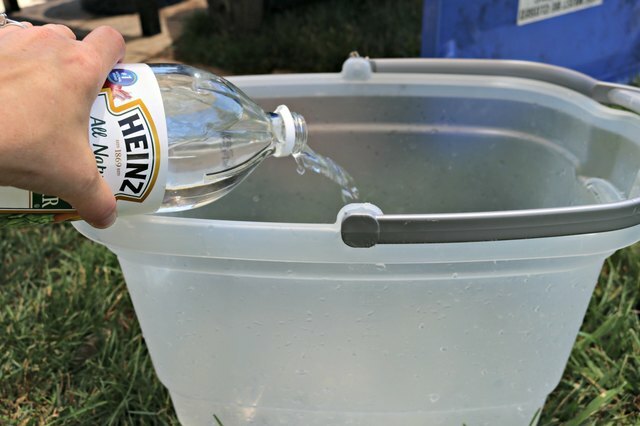 Cleaning your outdoor garbage cans is really easy to do naturally with a few household ingredients and a couple of cleaning tools. 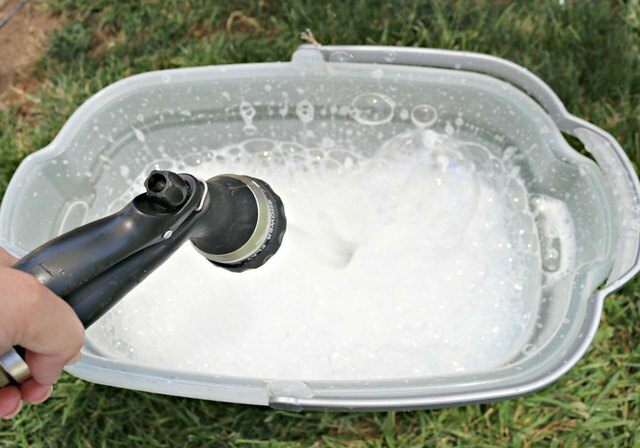 So, let's get those outdoor bins clean and deodorized! 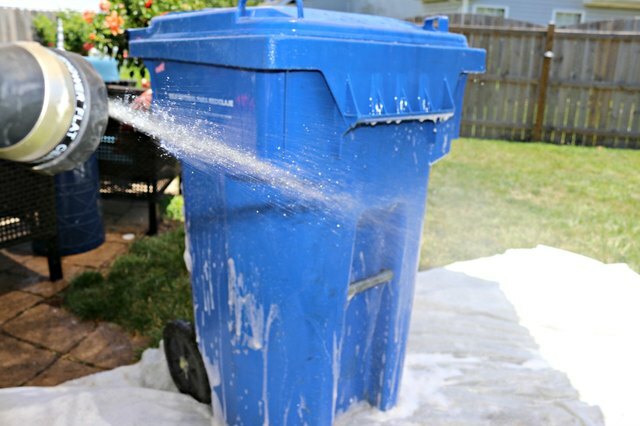 Step 1: Turn your garbage can on its side and spray with a water hose. 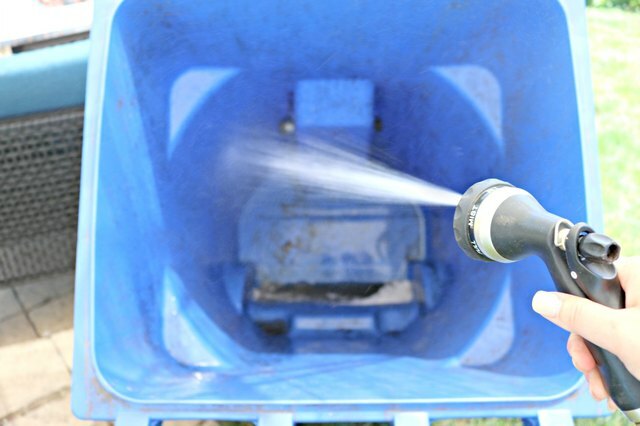 This will help remove any loose dirt and also wet your garbage can for cleaning. 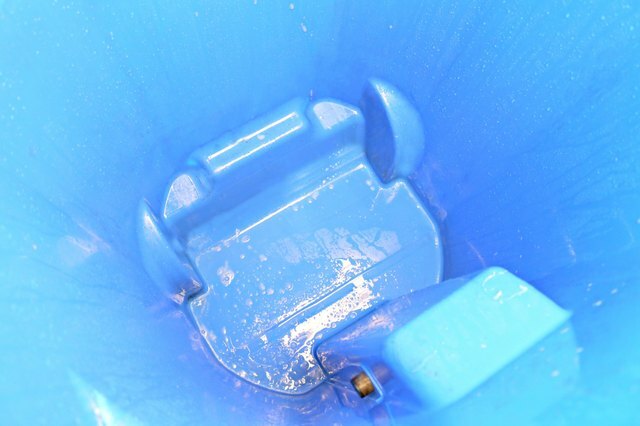 Step 2: Mix a natural cleaning solution in a large bucket. 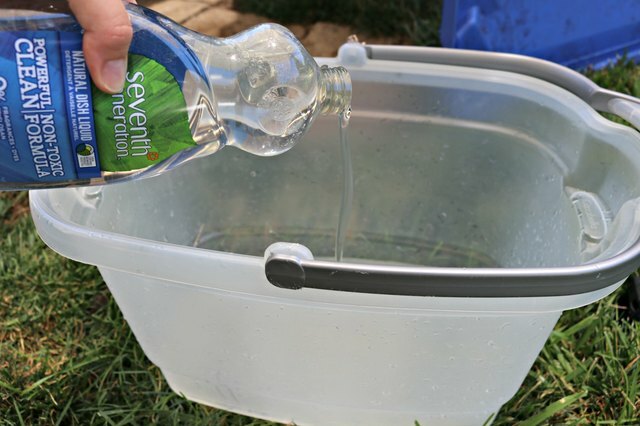 Add 4 cups of distilled white vinegar and 1/2 cup of dish liquid to the bucket, then fill with water. 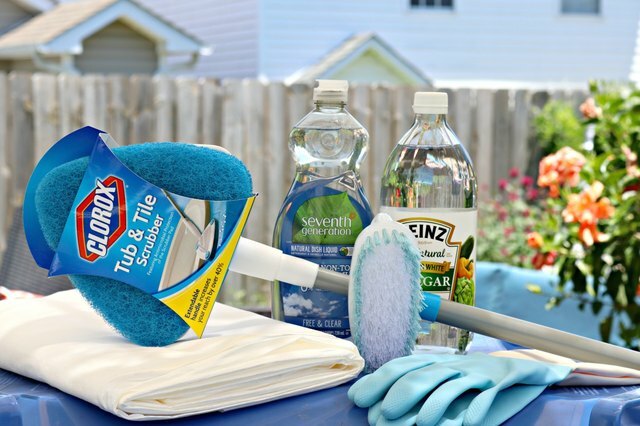 The vinegar will help to kill any germs and deodorize the can while the dish liquid will help loosen and remove dirt and debris. 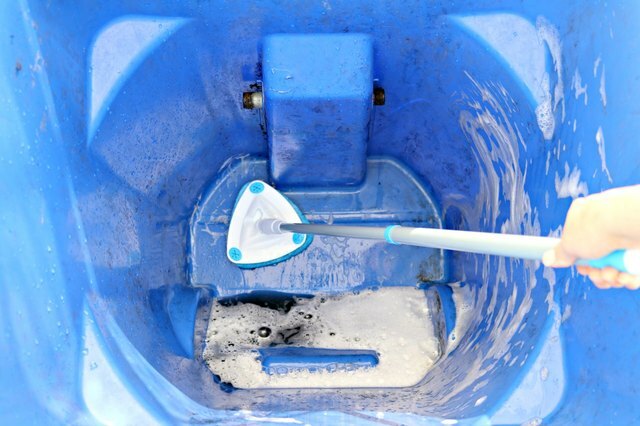 Step 3: Dip scrub brush in the solution and scrub the inside of the garbage can. 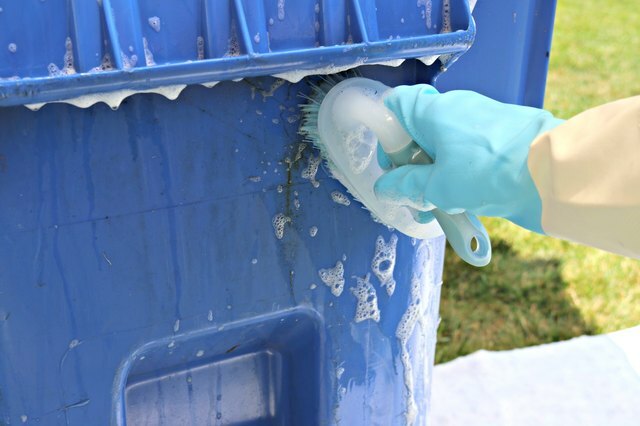 I like to use an extendable tub and tile scrubber to clean the insides of my garbage cans because it keeps me from having to put my body inside of the can. The heads pivot and bend easily to help get into all of the nooks and crannies and also clean the bottom and sides of the can. 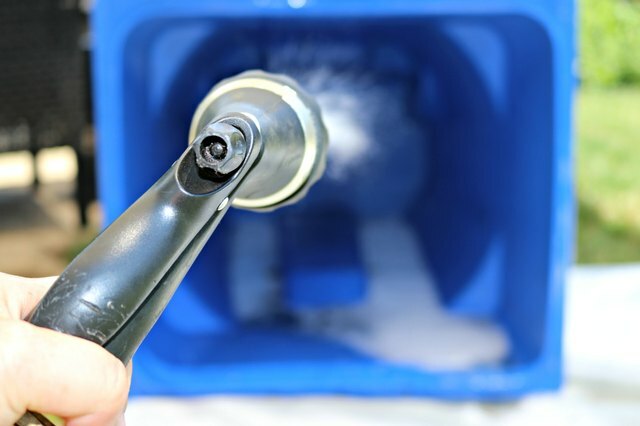 If you do not have an extendable tub and tile scrubber, you can use a scrub brush to clean the inside. 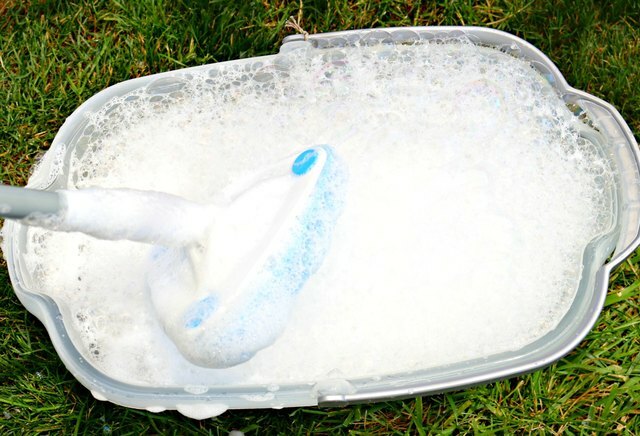 Step 4: Use a scrub brush and cleaning solution to clean the outside and lid. 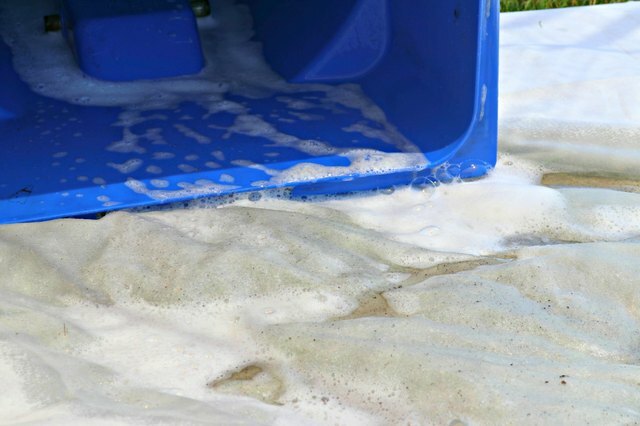 Dip your scrub brush in the natural cleaning solution and scrub the outside of the garbage can as well as the inside and top of the garbage can lid and wheels. Step 5: Rinse the inside of the garbage can. 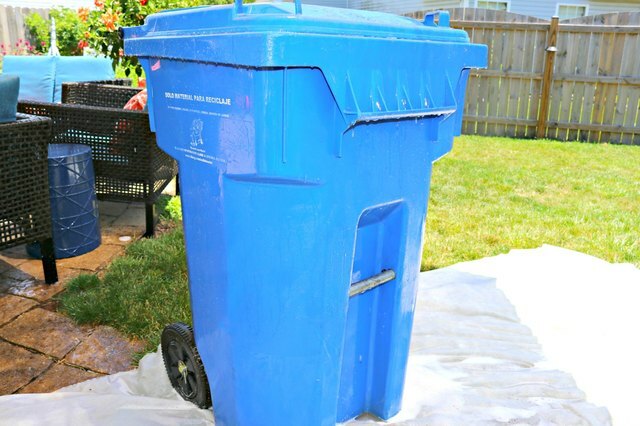 I like to place a large tarp under my garbage can to collect any dirt and debris so they don't run into my yard where are children and dogs play. Step 6: Rinse the outside of the garbage can and let dry in the sun.